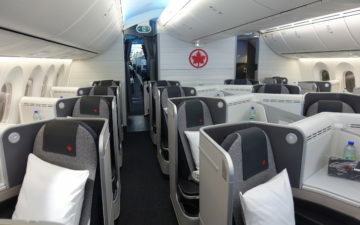 For example, just last week I flew roundtrip business class from San Francisco to Rome on British Airways for ~$1,150, when you factor in the $400 AARP discount and 10% discount for paying with the British Airways Visa Card. Up until now the AARP discount has been valid for bookings made through October 21, 2016. The offer has been extended several times in the past, though typically pretty last minute. The good news is that the AARP British Airways discount has now been extended for bookings through December 31, 2016. However, do note that the “travel by” date hasn’t been extended yet. Travel still has to be started by March 31, 2017, as was the case before. Hopefully that’s extended at some point as well, so that this discount can be used for travel next summer. 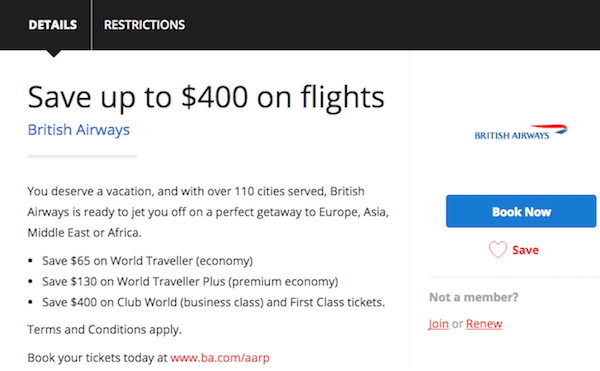 It’s great that the British Airways AARP discount extended yet again, as it’s one of the best ways to score cheap transatlantic business class tickets. While the “book by” date has been extended by a couple of months, there have been no changes to the “travel by” date. Hopefully that’s eventually updated as well. 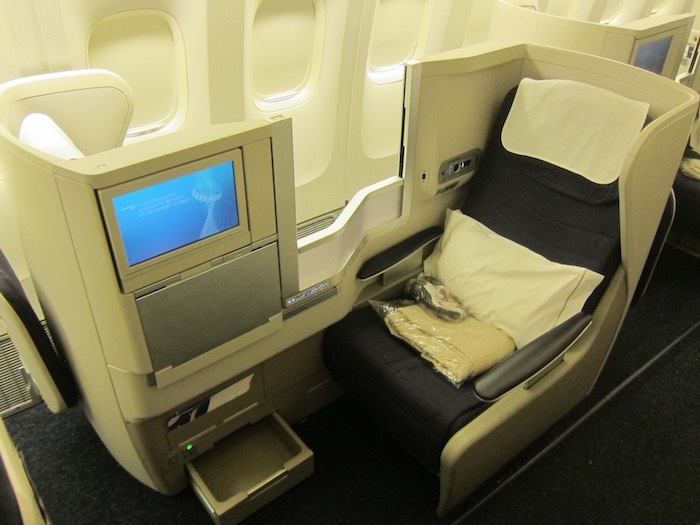 Have you been able to use the AARP discount to save on transatlantic business class tickets? I can’t thank you enough for this AARP tip. Just last night, I purchased a roundtrip Business Class ticket from on British Airways from DFW to TLS (Toulouse) for $2,256.00 including the discount. But guess what? I’m departing on March 31st (the last day of the AARP offer) and returning April 9th…..and I was still granted the discount?!? 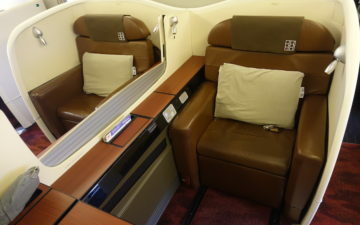 This marks the first time I’m actually PAYING for the premium cabin I wish to fly in….and it feels quite liberating. Go ahead and ‘test’ a departure date of 3/31/17 with an April return and you might be surprised what you find! You keep saying that your $1150 roundtrip flight was a “great deal”, but fail to factor in the positioning flights, the night you needed to spend in SF (from the east coast?) the nights in Rome, flight to Sicily and so on. All said and done you probably ended up spending over $1000 just positioning yourself to get this great deal. After factoring in all those costs, its not a great deal – you might as well have gotten a simpler, faster itinerary from NYC to Sicily which would’ve been a better deal if time, convenience and money is your consideration. Just because someone buys something at a sale doesn’t mean its a great deal. I mentioned this before, but travel only has to begin on March 31, 2017, not completed. I booked a flight that leaves on March 31, 2017 and I don’t get back until 2 weeks later. The AARP discount still worked for me. @ BB — Good correction, thanks. 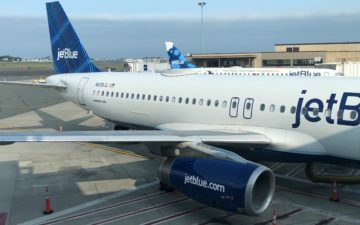 Lucky, since writing my first post above, I tested a March 31 departure with an April 30 return and am still seeing the discount. So, with some reserved optimism, the special could apply to even later dates depending on the return? Do you know if this discount can apply to BA flight + hotel packages? 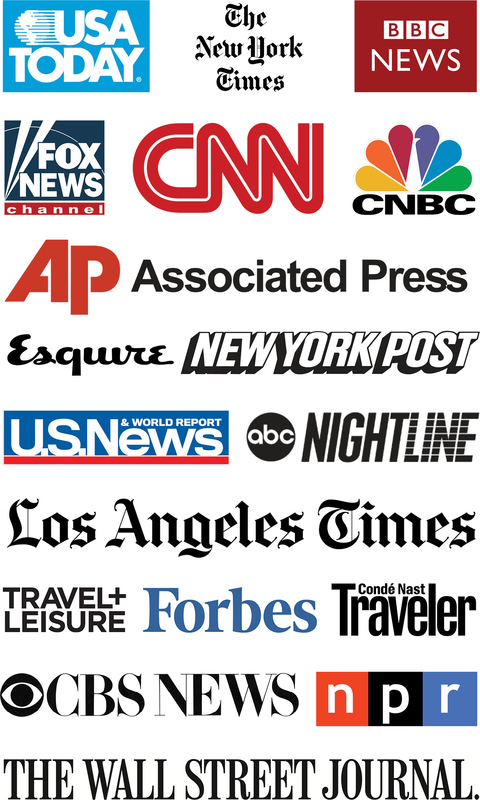 Does AARP discount apply on round trips originating from Europe? Nope, as far as I know someone correct me if i am wrong.. AARP only works for flights out of the US, it is a US thing so… there you go. I found that out AFTER I signed up and I cancelled my membership.